Not to be confused with Baseball World Cup. The World Baseball Classic (WBC) is an international baseball tournament sanctioned from 2006 to 2013 by the International Baseball Federation (IBAF) and after 2013 by the World Baseball Softball Confederation (WBSC). It was proposed to the IBAF by Major League Baseball (MLB), the Major League Baseball Players Association (MLBPA), and other professional baseball leagues and their players associations around the world. It is the main baseball tournament sanctioned by the WBSC, which grants to the winner the title of "World Champion". It previously coexisted with Olympic Baseball (until 2008) and the Baseball World Cup (until 2011) as IBAF–sanctioned tournaments, but baseball has not been on the Olympic program since 2008, after it was voted out by the International Olympic Committee in 2005. The final men's Baseball World Cup was held in 2011, and was discontinued to streamline the international calendar. 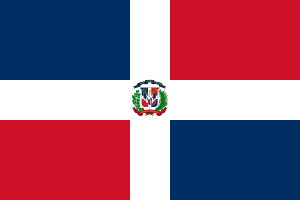 The 2013 Classic, the third edition of the event, was won by the Dominican Republic in an all-Caribbean World Baseball Classic Final. The tournament is the first of its kind to have the National Teams of IBAF's member federations feature professional players from the major leagues around the world including Major League Baseball. In addition to providing a format for the best baseball players in the world to compete against one another while representing their home countries, the World Baseball Classic was created in order to further promote the game around the globe. 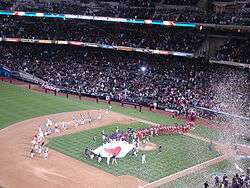 After a 3-year gap between the first two installments of the tournament, plans were made for the World Baseball Classic to be repeated every four years following the 2009 event. The third installment of the Classic was held in 2013, and the next is scheduled for 2017. Modeled after the FIFA World Cup and organized in large part as a response to the International Olympic Committee's decision to remove baseball as an Olympic sport in 2005, the WBC has grown into a major sporting event worldwide, though to a lesser extent in the United States. In fact, the final series in 2006 and 2009 rank among the highest-rated sporting events in Japanese television history. 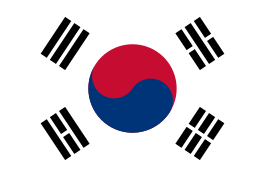 In the 2006 tournament, South Korea advanced to the semifinals with an undefeated 6–0 record but was defeated by Japan (which had lost twice to South Korea in the earlier rounds) for a berth in the final game. Meanwhile, Cuba defeated the Dominican Republic for the other berth in the final game. Japan then defeated Cuba 10–6 to be crowned the first champion of the World Baseball Classic. In the 2009 tournament, the controversial round-robin format from 2006 was replaced by a modified double-elimination format for the first two rounds (the semifinals and final game remained single-elimination). The eight teams advancing from the first round were the same as in 2006, except for a "Cinderella" performance by the Netherlands, which twice defeated the Dominican Republic to reach the second round. In the semifinals, South Korea defeated Venezuela while Japan defeated the United States, and Japan then emerged victorious for the second straight Classic, winning the final game over South Korea 5–3 in 10 innings. Although the 2006 and 2009 editions of the WBC were contested by the same pre-selected field of 16 teams, for the 2013 tournament only the 12 teams that won at least one game in 2009 were guaranteed a berth. The other four contested a qualifying round in late 2012, along with 12 additional teams. As a result, two new teams competed for the first time: (Brazil and Spain, respectively replacing Panama and South Africa). The main tournament took place in March 2013, and ended with the Dominican Republic defeating Puerto Rico in the final. The Dominican Republic also became the first team to win the tournament with a perfect record (8-0). The first two iterations of the Classic featured the same sixteen teams. For the 2013 tournament, qualifier rounds were introduced. In the year prior to the tournament, the four worst teams from the previous tournament enter four-team modified double-elimination tournaments with twelve additional teams, with one team from each four-team tournament qualifying to the main tournament. Once the final of each World Baseball Classic concludes, the players of the winning team receive gold medals during the closing ceremony immediately after the losing team receives silver medals. The third place team receives bronze medals at a separate date. The countries that have participated in WBC showing their highest result achieved, and the countries to participate in the qualifying tournament. The 2006 and 2009 tournaments each had the same 16–team field, chosen by invitation. Beginning with the 2013 tournament, the four last-placed teams from the previous tournament's first round each contested a qualifying round against three new teams. The outcome of this process has been that 14 of the original 16 teams have continued to appear in every tournament. In 2013, Canada and Chinese Taipei re-qualified while Panama and South Africa were respectively replaced by Brazil and Spain. In 2017, Australia and Mexico re-qualified while Brazil and Spain were respectively replaced by Israel and Colombia. The two teams to have won the tournament are Japan (2006, 2009) and the Dominican Republic (2013). Other teams to have reached the championship game are Cuba, Puerto Rico, and South Korea. 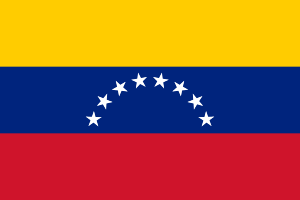 Other teams to have reached the semifinals are the Netherlands, the United States, and Venezuela. Other teams to have reached the second round are Italy, Mexico, and Chinese Taipei. The remaining team to be mentioned is China, which has never advanced to the second round but has also never been forced to contest a qualifier. The most significant award for individual performance during the tournament is the Most Valuable Player Award. Whichever player wins it receives a trophy after the final. The inaugural winner of the award in 2006 was Japan's Daisuke Matsuzaka, who pitched 13 innings and finished with a 3–0 record. Soon after this performance, Matsuzaka received a multi–million dollar contract to join the Boston Red Sox of America's Major League Baseball. Again in the 2009 World Baseball Classic, Matsuzaka received the world classic MVP, finishing with a record of 3–0 and an ERA of 2.54. In 2013, Robinson Canó won MVP after hitting .469 with two home runs and six RBI over the course of the tournament. At the end of each edition of the World Baseball Classic, an all-star team is selected based on their play in the tournament. Three pitchers, eight other position players (one each at each position, including three outfielders), and a designated hitter are named to the team. In the three editions of the Classic thus far, players representing eight different teams have been named to an All-WBC team, with Japan leading the way with eight representatives. The winning team of each world baseball classic is rewarded a large silver trophy as its primary recognition. The two trophies earned by Japan during the inaugural and second classics have been on display at the Japanese Baseball Hall of Fame while the place to display the trophy won by the Dominican Republic team is yet to be decided. A pitcher can still finish a batter's plate appearance even if the limit is reached, but must come out after completing the plate appearance. Mercy rules do not apply during the championship round. The designated hitter rule applies for all games. Starting with the 13th inning, teams automatically start with runners on first and second base. These are the players in the two batting order positions previous to the leadoff batter for the inning. In the Qualifying Round of the 2017 tournament, extra inning rule will be employed from the 11th inning. Unlike regular season play, where the number of runs by which a team wins a game is not relevant, the number of runs by which a WBC team wins may be relevant if a tie later develops in the standings. This caused problems during the 2013 WBC, where one game spawned a bench-clearing brawl between the Canadian and Mexican teams (Canadian hitter Chris Robinson had bunted for a base hit, causing Mexican pitcher Arnold Leon to throw three consecutive pitches at the next hitter, Rene Tosoni). The player is a citizen of the nation the team represents. The player is qualified for citizenship or to hold a passport under the laws of a nation represented by a team, but has not been granted citizenship or been issued a passport, then the player may be made eligible by WBCI upon petition by the player or team. The player is a permanent legal resident of the nation or territory the team represents. The player was born in the nation or territory the team represents. The player has one parent who is, or if deceased was, a citizen of the nation the team represents. The player has one parent who was born in the nation or territory the team represents. In 2006, many high caliber players from both Major League Baseball and in leagues around the world participated in the World Baseball Classic. Amongst the players that made the All–WBC team were Americans Derek Jeter and Ken Griffey Jr. From Japan, Daisuke Matsuzaka, Ichiro Suzuki and Tomoya Satozaki were on the team. 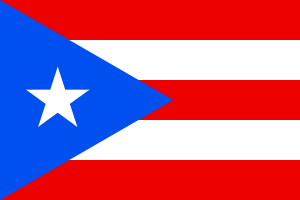 Other internationals included players from Cuba—Yulieski Gourriel, Yoandy Garlobo and Yadel Martí; and from the Dominican Republic—Albert Pujols, Pedro Martínez and José Bautista. 2009 had a similarly high-profile field, with a number of players such as potential future Hall of Famers Iván Rodríguez, Pedro Martínez and Chipper Jones and the major international debuts of Cuba's Yoenis Céspedes and Aroldis Chapman. For the 2013 tournament, many high-profile players decided not to participate, including key players from the 2009 Japanese team such as Yu Darvish, Ichiro Suzuki, and Hisashi Iwakuma. However, other prominent players came, such as Miguel Cabrera, David Wright, R.A. Dickey, Joey Votto, Adrian Gonzalez, Robinson Canó, and José Reyes, among many others. The tournament was announced in May 2005 by Commissioner of Baseball Bud Selig. Major League Baseball had been attempting to create such a tournament for at least two years; negotiations with the players' union (MLBPA) and with the team owners had held the plan back. Owners, notably New York Yankees owner George Steinbrenner, had been concerned about their star players being injured in international play before the beginning of spring training, and the professional season. This was a concern for the MLBPA as well, but their primary objection was with drug testing. MLB wanted the stricter Olympic standards in place for the tournament, while the union wanted current MLB standards in place. Eventually, a deal was reached on insurance for player contracts and a fairly tough drug testing standard. MLB teams would not be able to directly block their players from participating. Similarly, Nippon Professional Baseball (NPB) and its players' association had a disagreement over participation in the tournament. While the owners initially agreed to the invitation, the players' union was concerned about the time of year the tournament was scheduled to take place, as well as their right to be better represented for the 2009 tournament. On September 16, 2005, after four months of negotiations, NPB officially notified the IBAF and MLB they had accepted the invitation. In September 2012, after having threatened to boycott the event despite its domestic popularity, Japanese players agreed to take part after reaching a compromise with tournament organizers on sharing sponsorship and licensing revenue. Though the first two World Baseball Classic finals were shown on ESPN in the United States, the entire 2013 tournament was shown exclusively on MLB Network domestically. They also have the television rights for the 2017 Classic. Also at the moment, ESPN Deportes provides Spanish-language coverage and ESPN Radio has audio rights for the Classic. Sportsnet is the current broadcaster in Canada while ESPN America covers the tournament for the United Kingdom, Ireland and other parts of Europe. The first qualifier round of the 2017 World Baseball Classic aired in the United States and Puerto Rico on the MLB Network; and in Australia, New Zealand, and selected surrounding islands on ESPN. Wikimedia Commons has media related to World Baseball Classic. Each host city is listed with the number of WBC rounds it has hosted in parenthesis. Each year is then listed along with the round hosted: 1st, 2nd, or Championship. ↑ "IBAF introduces new Format of International Tournaments". IBAF.org. Retrieved 4 October 2014. ↑ "IBAF World Ranking Notes". International Baseball Federation. 13 January 2009. Archived from the original (PDF) on 3 June 2009. Retrieved 23 June 2009. ↑ "Domi-nation: DR runs table en route to title". Retrieved 2013-03-24. ↑ Attendance and Television Ratings Shine for '09 World Baseball Classic. Bizofbaseball.com (2009-03-15). Retrieved on 2013-07-23. ↑ Cano dominates center stage of WBC. chicagotribune.com (2013-03-20). Retrieved on 2013-07-23. ↑ "About World Baseball Classic". worldbaseballclassic.com. Retrieved 12 October 2013. ↑ "World Baseball Classic Qualifier Rules and Regulations". Retrieved 2013-01-09. ↑ "Dan Serafini Wins One For Team Italy". Retrieved 2009-03-21. ↑ Coskrey, Jason (July 21, 2012). "JPBPA unanimously votes to boycott WBC". The Japan Times. Retrieved August 13, 2012. 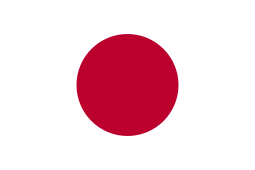 ↑ "Japan agrees to play in 2013 WBC". ESPN. Associated Press. September 4, 2012. ↑ MLB Network carrying all 39 games of 2013 World Baseball Classic. Baseball Nation. Retrieved on 2013-07-23. ↑ gabriela nunez on January 13, 2013 (January 13, 2013). "ESPN Selected to Present Spanish-Language Multimedia Coverage of 2013 and 2017 World Baseball Classic « ESPN MediaZone". Espnmediazone.com. Retrieved March 12, 2013. ↑ "Broadcast details announced for WBCQ". theABL.com.au. 8 February 2016. Retrieved 12 March 2016.